It was a dark and stormy morn on Misery Bay, Tuesday, October 2nd. 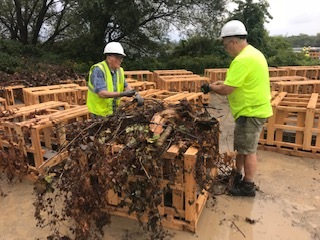 Despite the thunder and at times pouring-down rain, a crew of 22 people set out to deploy 60 Vertical Plank habitat structures at two locations in Misery Bay. 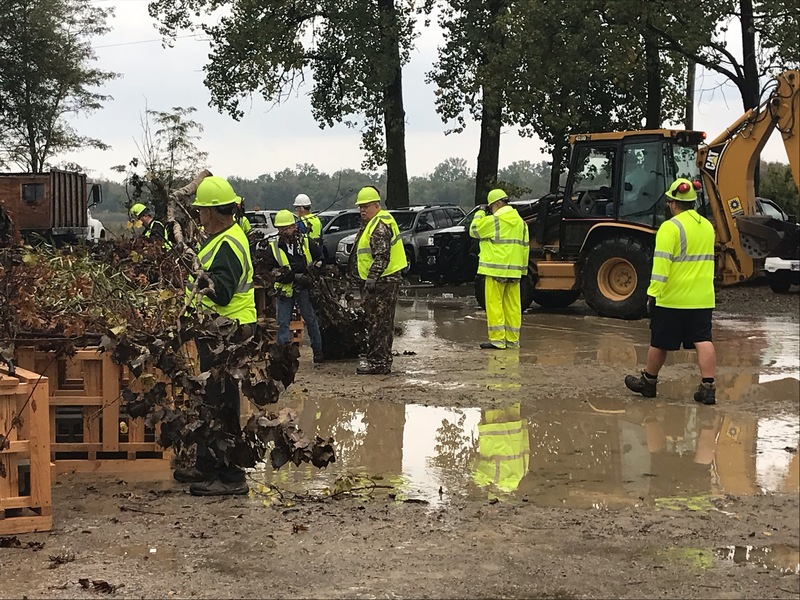 The crew included fifteen volunteers from the S.O.N.S of Lake Erie, along with five Fish and Boat Commission personnel, and David Boughton, from Pennsylvania Sea Grant. 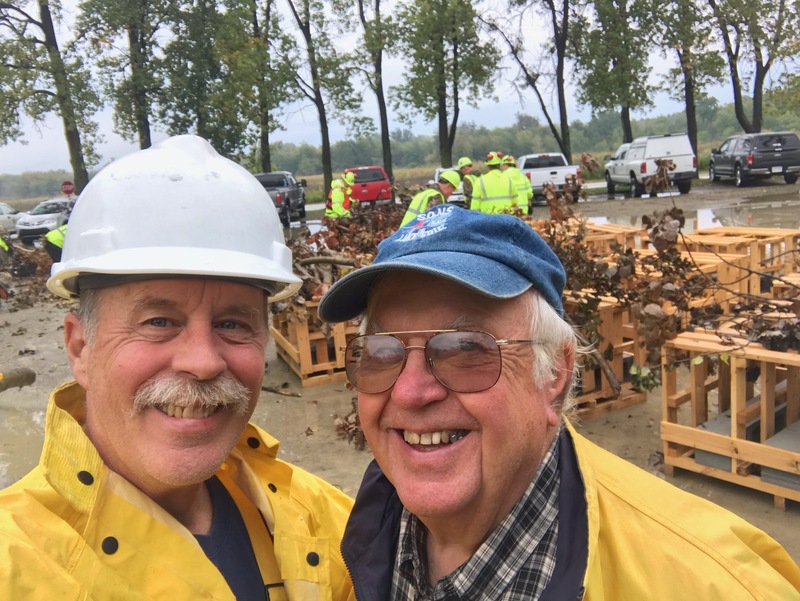 The annual event is organized and permitted by the PA Fish and Boat Commission Habitat Section Chief Ben Page, a to support the native fish population in Presque Isle Bay. The structures have a top layer of branches and foliage to provide greater coverage and mimic the natural environment. According to Jerry Skrypzak, President and director of the local S.O.N.S. organization, "This is a long term project that supports the core mission of the S.O.N.S. by enhancing the native fish population and increases the viability of the recreational fishing which is an economic driver in the Erie region." Visit our Aquatic Habitat project page for more information, photos, and underwater video.